This picture doesn’t do the pattern justice. It uses Kreinik metallics, and the buckles and ornaments glitter and gleam as you move about to view it from different angles. 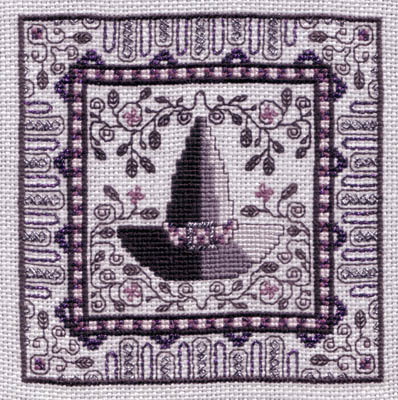 In honor of the book, the pattern includes blackwork, in its modern form that allows colors.